As Duchess Meghan prepares to reveal her baby to the world, London newborn photographer shares her tips on how to prepare for and capture baby portraits that make everybody say, "Awwww..."
London, United Kingdom, April 12, 2019 --(PR.com)-- Will it be a boy or a girl? Will the baby have a modern or traditional, family name? With just days to go before Duchess Meghan Markle gives birth, the country is rapt with anticipation over the arrival of the UK’s newest and soon-to-be cutest royal family member. Whatever name they choose, the newspapers will soon be awash with perfectly posed images of the glowing mother and father and their bonny newborn, courtesy of the royal photographer. 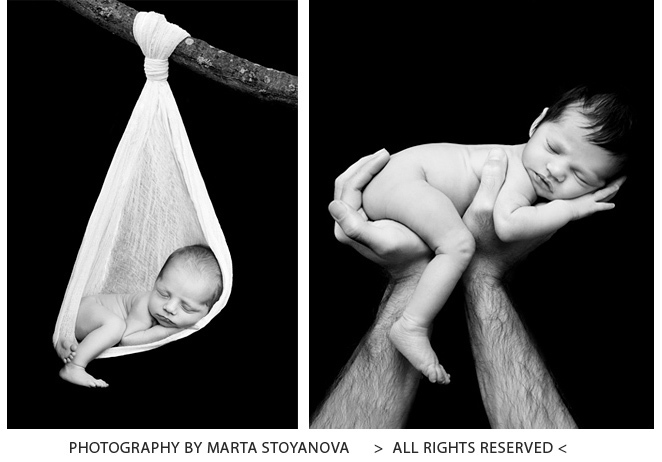 These photographs can be difficult to capture but will no doubt cause everyone who sees them to let out the customary, "Aaaw..."
Someone who knows all too well the complexities of capturing the perfect newborn photographs is London based photographer Marta Stoyanova from Magic Rainbow Photography. For the past eight years, she has been welcomed into hundreds of London homes to capture family’s most unforgettable moments - a big brother holding his baby sister for the first time, proud grandparents meeting the next generation, new mums and dads lost in adoration of their tiny new child. Despite being a photographer for over 15 years, working in fashion, beauty, travel and the music industry, Marta eventually found her true calling specialising in newborn baby photography and Magic Rainbow Photography was born. Tip 1: Plan ahead. Ensure you have plenty of time so that you don’t feel rushed or stressed to be anywhere else. Tip 2: Always book an experienced professional baby photographer. Working with babies and children can be challenging so experience can make all the difference in getting those perfect shots. Tip 3: Book early. Plan your shoot a few weeks before your due date so that you don’t feel overwhelmed and miss the opportunity later when the baby is born. Tip 4: Keep it comfy. Host the shoot at home where the baby has all they need close by and feels the most relaxed and comfortable. Tip 5: Enjoy it. This is an incredibly special moment for a new parent and one which you should cherish as much as the photographs you have in the end.